Money, Money, Money - a cello bag of Belgian milk chocolate coins tied with a red ribbon!! 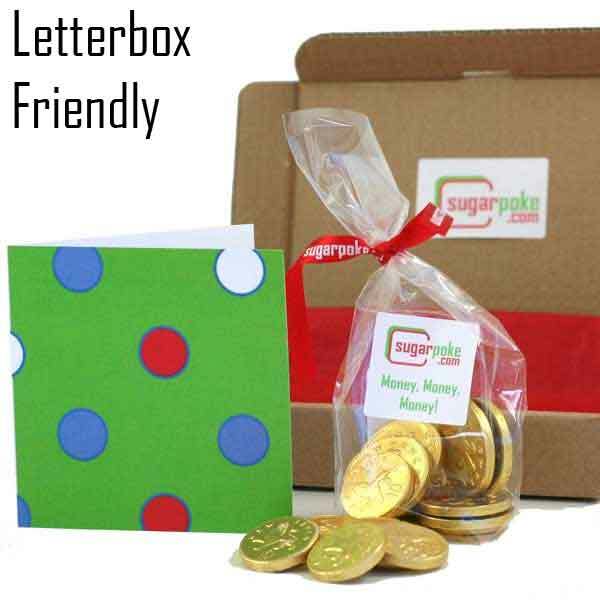 (48g) If you can't send them real dosh, send them the edible sort, it's much tastier! Send them some happy birthday chocolate cash in the post!